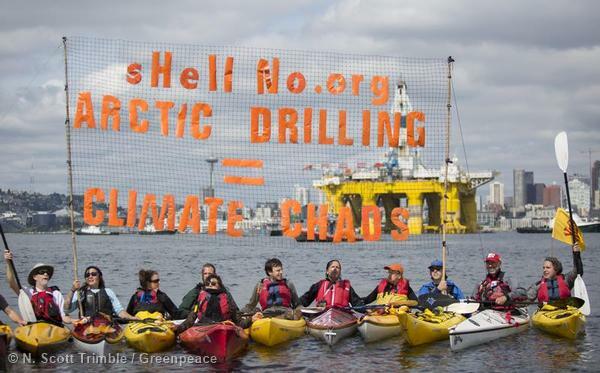 Seattle activists in kayaks raise a banner to protest Shell's Polar Pioneer drilling rig. “This is a long-awaited moment for so many communities along the Arctic and Atlantic coasts. It represents the strongest action President Obama has taken yet to keep precious Arctic and Atlantic waters safe from the havoc of oil drilling. We will need strong protections like these in advance of a Trump Administration, which has already pledged to be a lapdog to the faltering oil and gas industry. 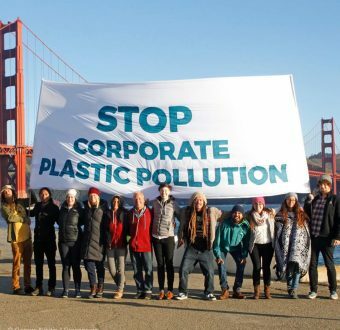 We join millions of people around the world in showing our gratitude to the current administration for these bold, permanent protections, which ensure local communities continue to have access to pursue traditional and long-standing economic practices. “However we also acknowledge that these protections are only permanent and meaningful if backed up by unwavering ambition. We must ensure real investment in Arctic communities, so that they are able to develop their economies sustainably. And while we applaud protection of critical habitats in the Atlantic, we must remember the millions of people up and down the Atlantic Coast who called on the President to protect their homes and waters from devastating spills. And we call on the President to answer the calls of the residents of the Gulf Coast, who have long been deeply affected by the oil and gas industry. The President’s Five Year Plan continues to expose the region to horrific spills, chronic public health crises from toxic refineries, and devastating storms and floods. It’s time they were set free.